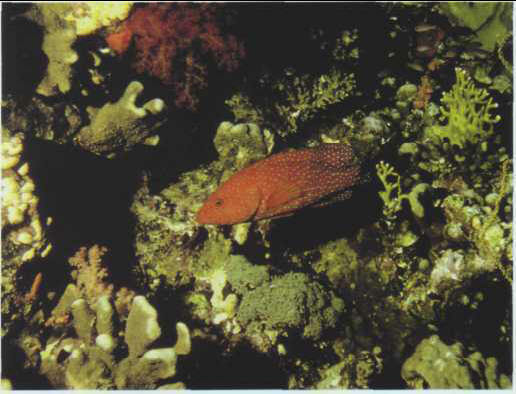 The solitary redspotted grouper lives somewhat hidden in corals. It can live for over 5 years in an aquarium. The coloring grows darker in adults. Size: 20-30 cm.